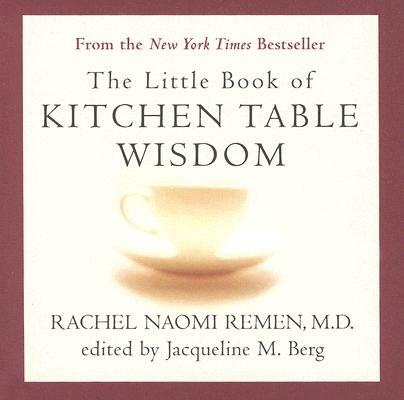 As a physician, a professor of medicine, a therapist, and a long-term survivor of chronic illness, Dr. Rachel Remen, author of the inspirational classic Kitchen Table Wisdom, has a unique perspective on healing. Here are the passages, quotes, and stories from Kitchen Table Wisdom that have profoundly affected her legions of fans. The result is a guide to inner healing that everyone will cherish, and such spiritual issues as suffering, meaning, love, faith, and miracles that everyone can learn from and live by. Rachel Naomi Remen, M.D. has been counseling those with chronic and terminal illness for more than twenty years. She is cofounder and medical director of the Commonweal Cancer Help Program in Bolinas, California, and is currently clinical professor of family and community medicine at the University of California at San Francisco School of Medicine.